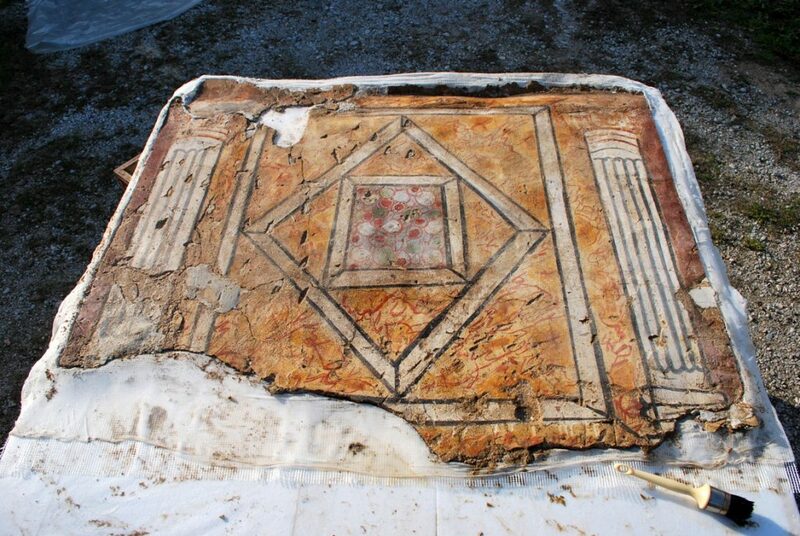 Period/s: Late Roman (4th – 5th c. CE). Project team: Tome Filov, NI Stobi affiliated conservator; Mishko Tutkovski, conservator at the NI Stobi; and Dr Krassimira Frangova, Assoc. 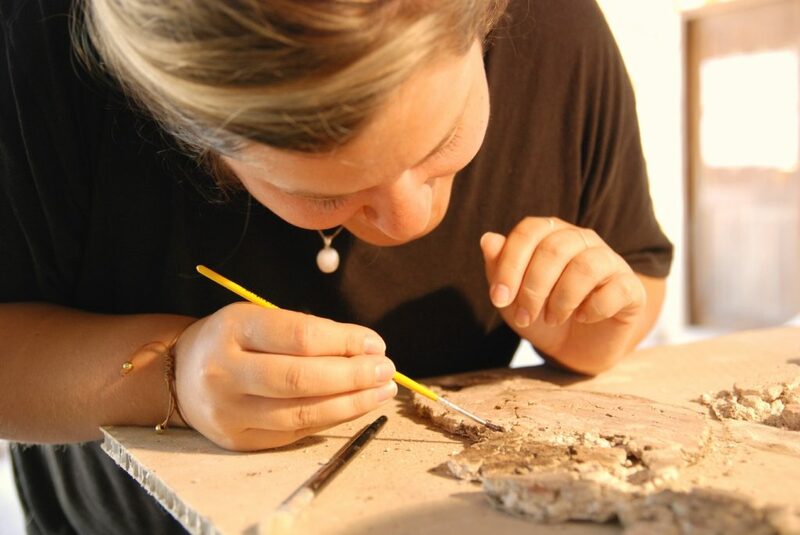 Prof. at The Royal Danish Academy of Fine Arts, Schools of Architecture, Design and Conservation (2017). 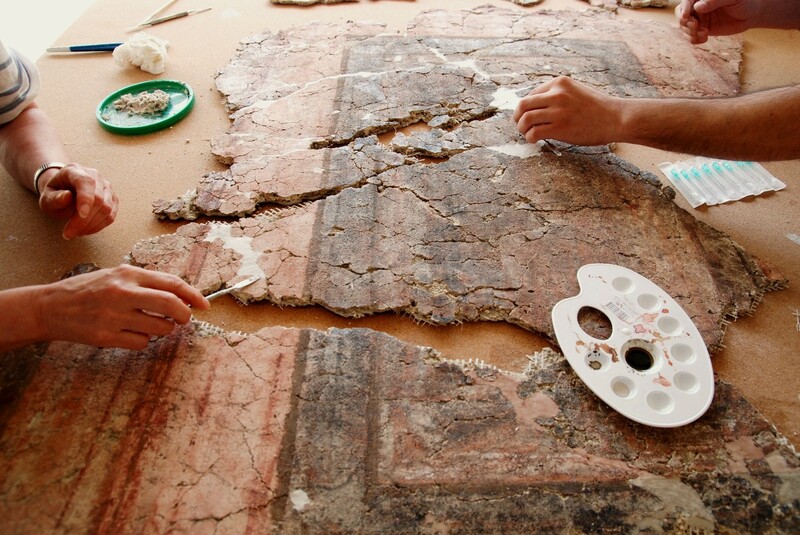 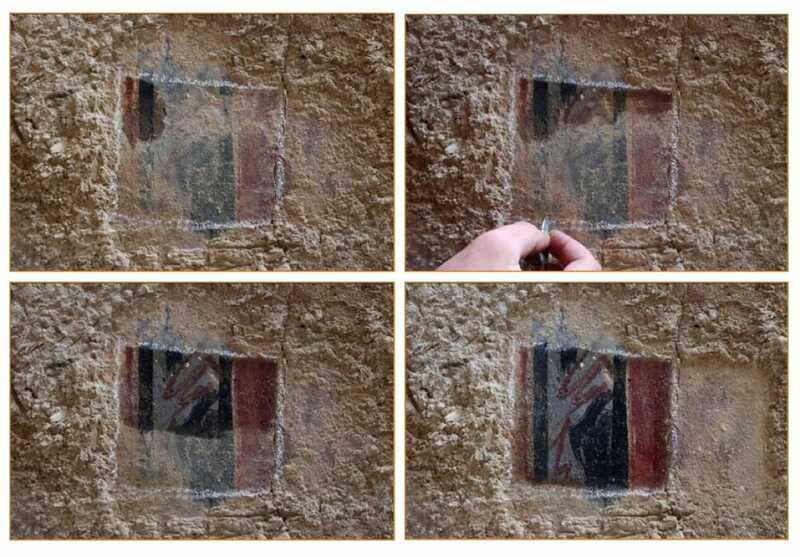 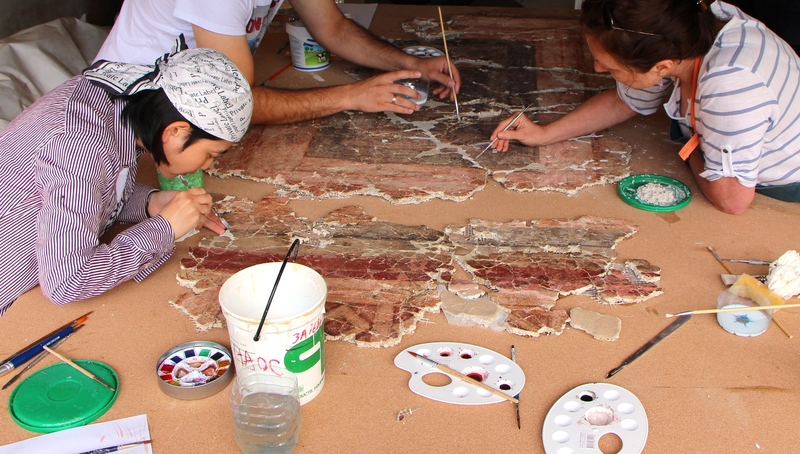 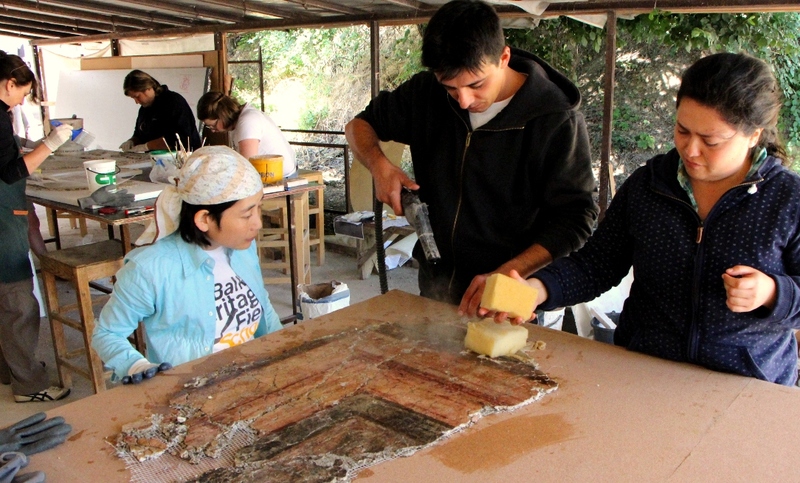 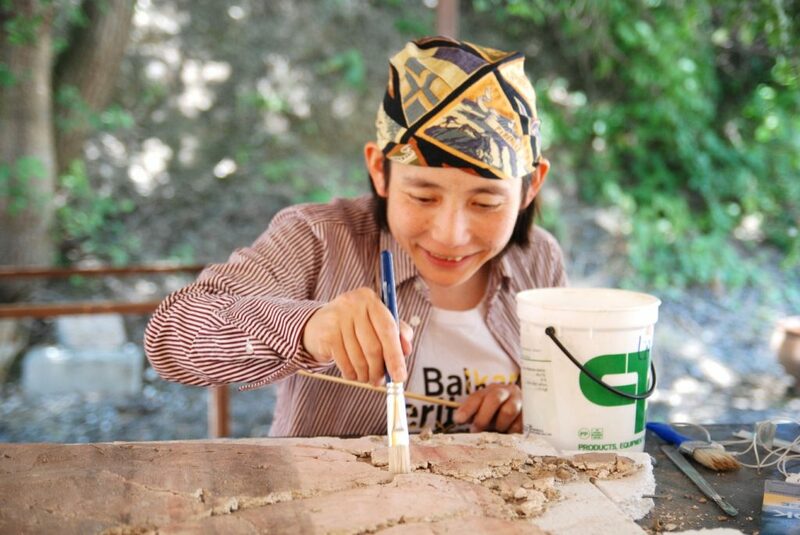 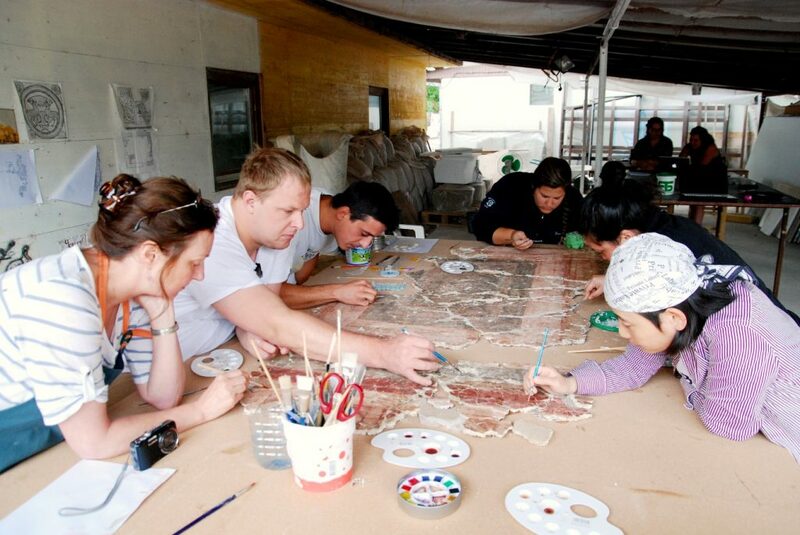 BHF contribution: Conserved and documented 3 sq.m of mural paintings (fragments) and involvement of more than 20 volunteers and 7 team members. 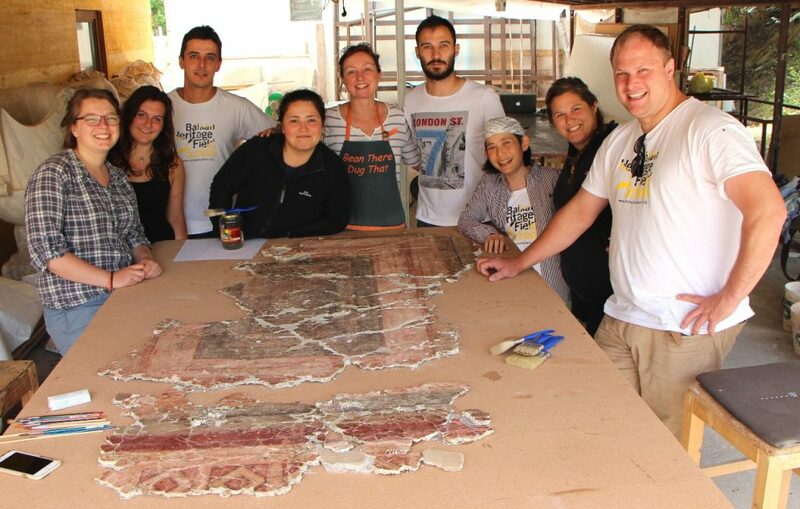 BHF project partners: National Institution Stobi (NI Stobi), Republic of Macedonia. 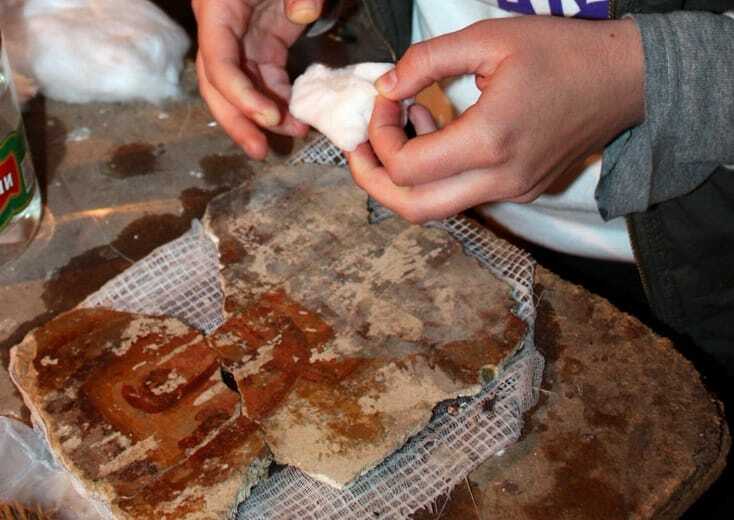 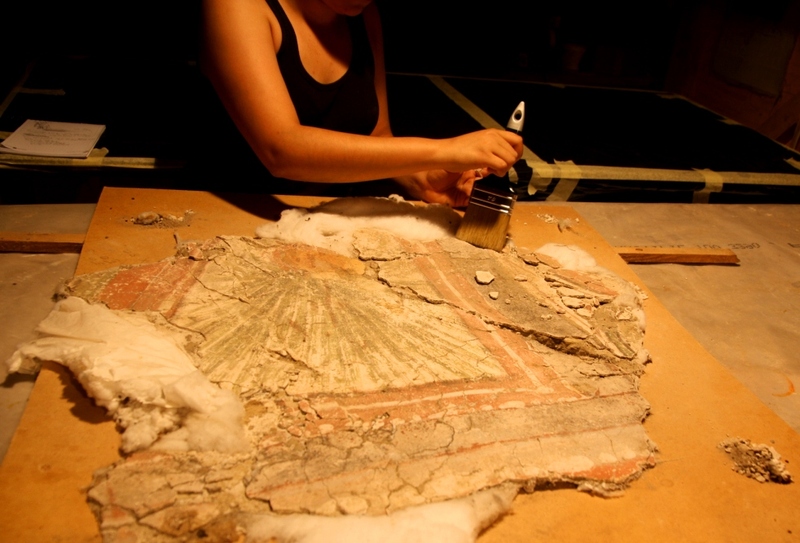 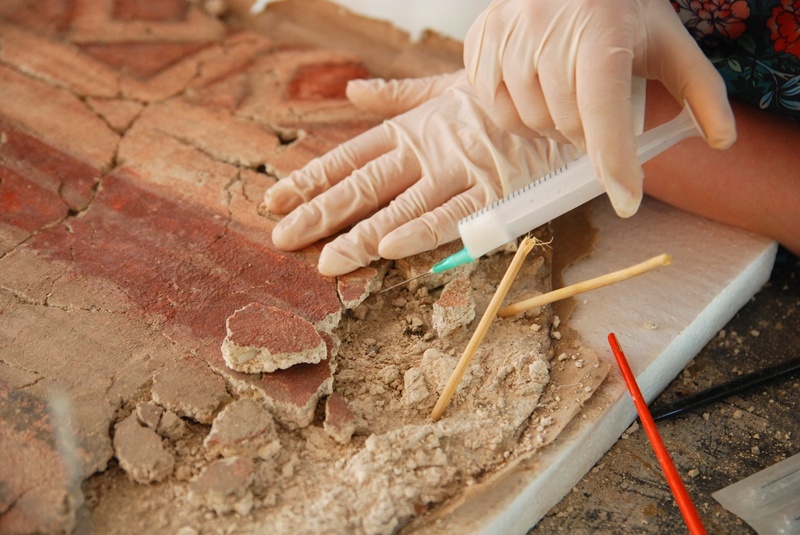 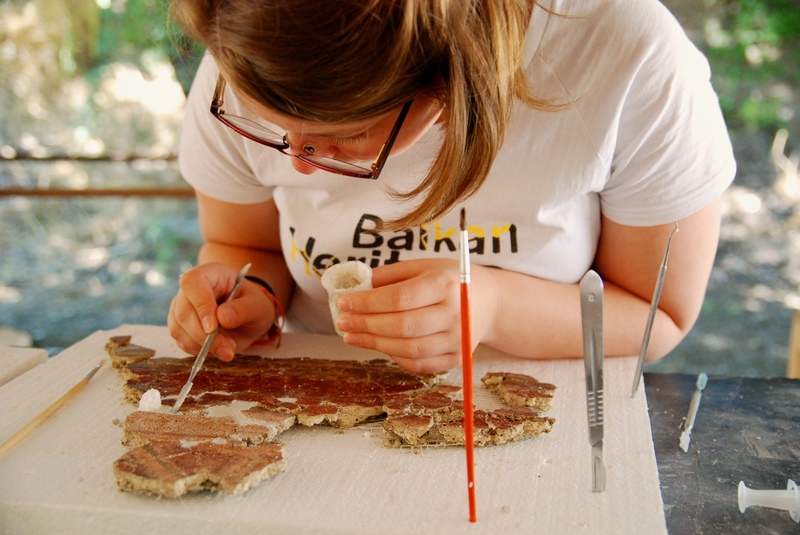 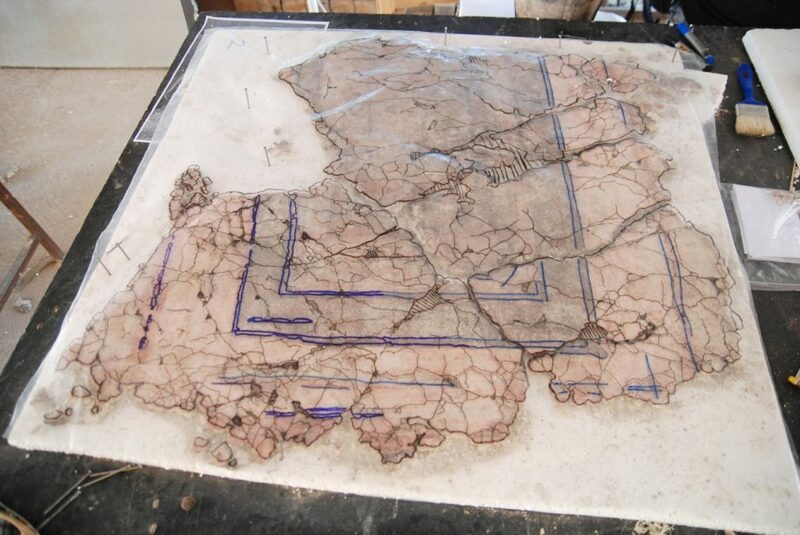 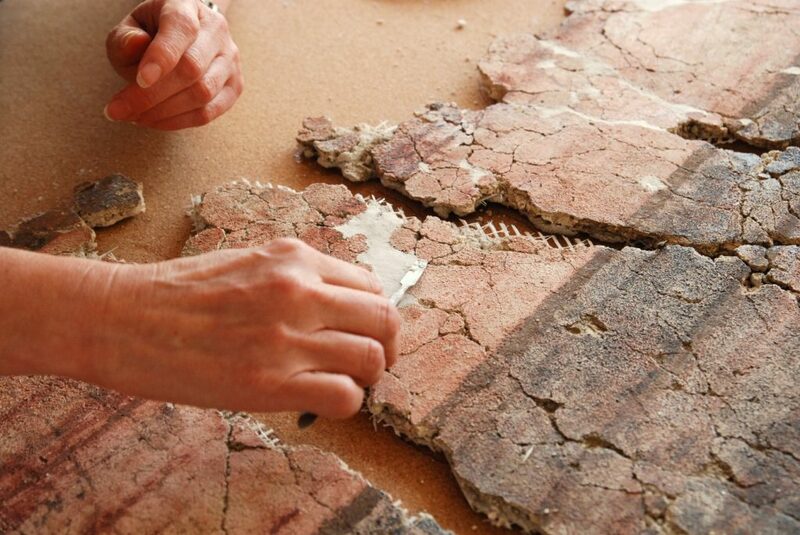 A significant number of frescoes fragments with different sizes, mainly from the decorated walls of the Early Christian buildings (Episcopal basilica and the baptistery) have been found in Stobi. 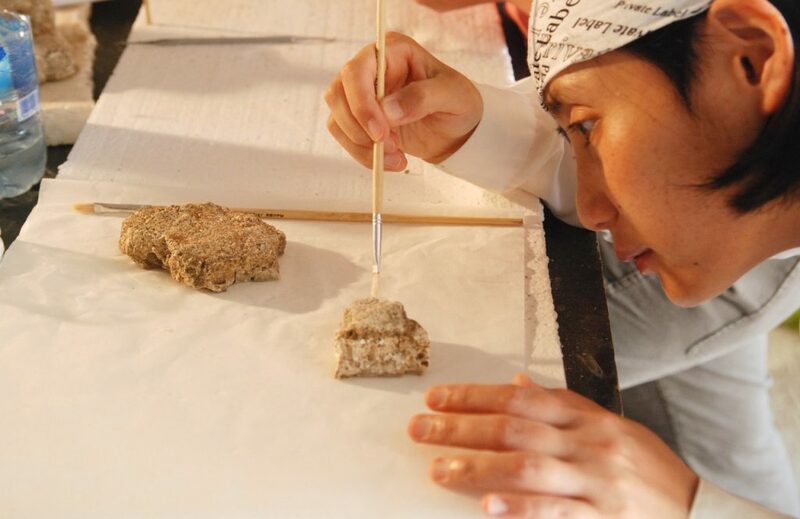 A small number of them have been conserved, documented and published. 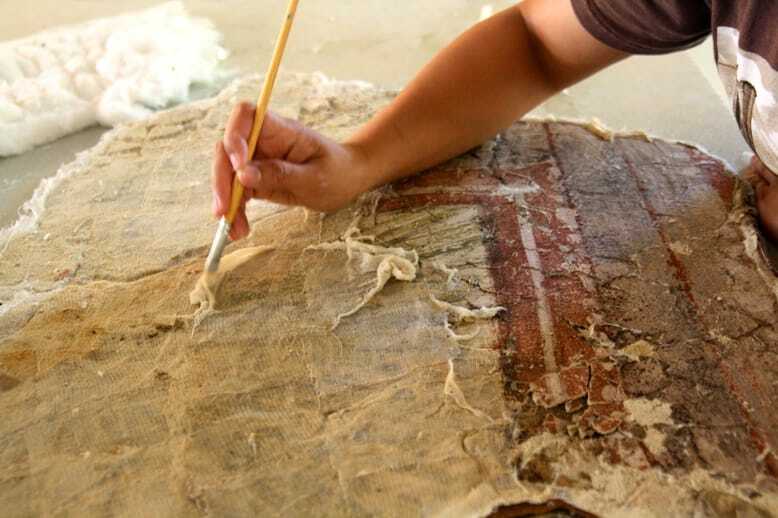 The remaining require urgent conservation and preservation due to damage caused by the lack of proper and consistent maintenance over the past decades. 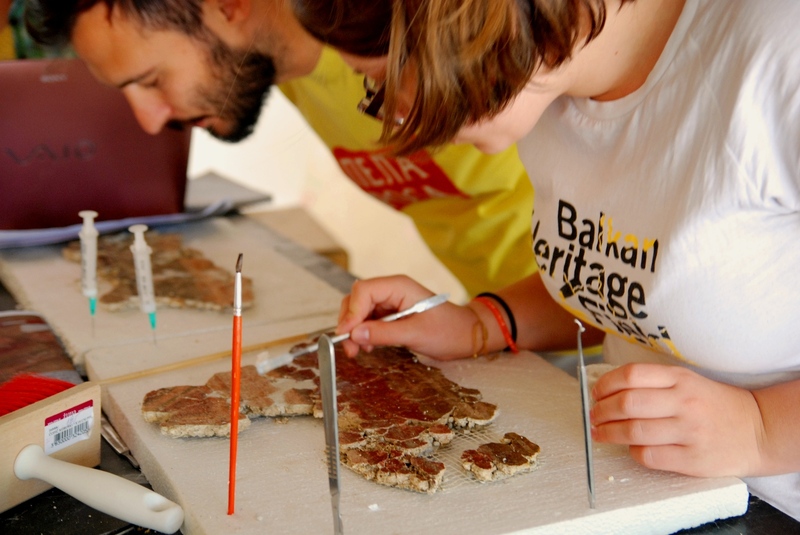 BHF contributed to the conservation of some of the pieces through fundraising and involvement of specialists, students and volunteers, participants in the Workshop for Conservation and Restoration of Roman Mosaics and Wall Paintings which is part of the Balkan Heritage Field School, an educational program of BHF.